The SWS Conference & Exhibition affords a unique opportunity as a sponsor or exhibitor to directly interact with decision-makers at federal, state and local agencies, and educational institutions, as well as storm water managers, consultants, engineers, contractors, and designers — all of whom have a direct interest in storm water and erosion control challenges, technologies and solutions. To view the Exhibitor and Sponsorship Opportunities PDF, click here. To view the Exhibitor and Sponsor Guide, click here. For more information about Tinley Park Convention Center's Exhibit Services, click here. To view the conference floor plan, click here. If electric is needed, please contact the Conference Center, Camille Gale at [email protected]. The cost of electric will be $75 per booth. 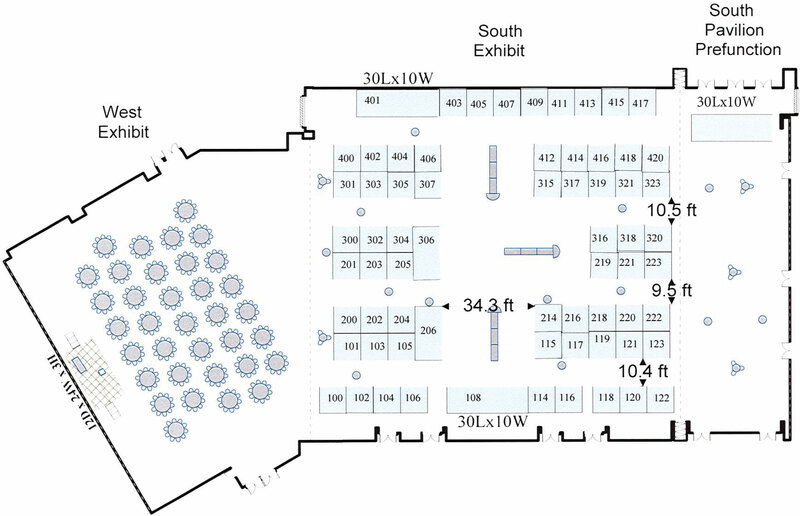 *Each 10x10 exhibit booth includes carpeting, 6-ft table, 2 chairs, wastebasket, and ID sign. Sponsor roadsbridges.com also has the option to have an additional 3 conference registrations rather than an exhibit booth.